Arun inherits the mantle of singing from a family where music has been a way of life. Arun was given to Carnatic Music in the Parivar [arampara, and he began his music lessons under the careful ear of his father Vidwan O.V. Subramaniam. Arun later qualified Alankar Purna from Gandharva Mahavidyalaya. He also topped the Sangeetha Shironmani diploma course in Carnatic music conducted by the Faculty of Music and Fine Arts at Delhi University. 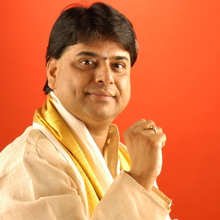 Known for its vitality, Arun’s Music has combined grace of sound grammar and warmth of feeling. He also has a wide repertoire of songs, which has earned him a keen following.